Entrepreneurial Skills Workshop - "Staffing Your Start-up"
PBN Networking Luncheon - Holiday Joy! Wharton Biztech Conference - What's Next In The Mobile Evolution? Six Things We Can Learn by Remembering the Alamo! I just got back from a few days in San Antonio, and of course I went to the Alamo. There were a few things about the Alamo story that stood out for me. They are not directly related to networking, but I think they are related to taking risks and keeping your eye on your goal. The basic story is well-known: a 26-year-old named William B. Travis and a little under 200 others were besieged by a Mexican army numbering in the thousands. They were rebels, trying to win Texas independence from the centralist Mexican dictatorship of Santa Anna. Spurning Santa Anna’s demands that he surrender, Travis held out for weeks, pleading for assistance in holding the Alamo, but ultimately the Mexicans overwhelmed the Alamo and killed the defenders to a man (women, children, and slaves being spared). 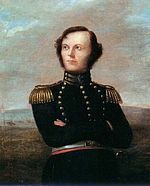 Contrast that to the fate of Col. James W. Fannin, Jr., in command of around 300 men in the nearby town of Goliad, Texas. Fannin had tried to respond to Travis’ call for assistance, but his wagons got bogged down a few miles from Goliad. Fearful that a Mexican force was on its way to Goliad, he abandoned his efforts and reinforced his position. The Alamo fell about a week later. About two weeks after the fall of the Alamo, Fannin was retreating from Goliad, bogged down again with his wagons, when he was engaged by a larger Mexican force. After a pitched battle in which 70 of his men were killed or wounded, Fannin surrendered. He and his men were taken out of Goliad and summarily shot. Few people know about the Goliad Massacre now, and “Remember Goliad” is now a rallying cry for nothing. There are an amazing number of great events this week. You can find me at Founder Factory and TEDxPhilly, and there are several other events I'd like to go to but simply don't have time for! CFO Alliance Roundtable: Why is the unemployment rate still so high? * Entrepreneurs' Forum of Greater Philadelphia, Inc. Build Your Competitive Edge: Discover Your Memory Power! BMA: Attorney James Astrachan's "Ads That Should Not Have Run"